There’s no real way to prepare for the emotional horror of school gun violence or other tragedies. Safety protocols, security measures, and drills can help ensure that students and staff react to attacks in the most organized and effective way possible. But preparation only goes so far when facing the kind of emotional pain caused by the violence students faced in places like Parkland. That trauma doesn’t end when the incident is over and kids return to school. In the wake of Parkland and other recent tragedies, state and school officials are beginning to understand that preparation for and recovery from school gun violence requires a sustained community-wide approach–one that engages school leaders, faculty, law enforcement, civic and spiritual leaders, and others. Recently, the governors of Virginia and Maryland hosted a joint training event aimed at preparation and recovery from school tragedies. As the Augusta Free Press reports, the program, “The Briefings: Resiliency and Recovery After a School Crisis,” brought together law enforcement, first responders, and school staff members and administrators to share best practices and hear the stories of those who have faced violence in schools. Speakers at the event included a survivor of the 2007 Virginia Tech attack, a Maryland principal whose school faced a shooting on the first day of the 2013-2014 school year, as well as school leaders and police officers who helped prevent a planned high school shooting. The vigilance that Gov. Northam mentions starts with careful planning, according to former school superintendent Dr. Gerald Dawkins. Want more on building strong school safety systems? Sign up for the TrustED newsletter. Effective school safety strategies start with strong school board safety policies. To communicate the board policy to your community, a school safety plan should outline a step-by-step, practical, and tangible outline of what the policy looks like in action. The process is the means by which a policy is carried out. Dawkins says any effective process requires plenty of dry runs and rehearsals with staff and students. A vital element of any school safety plan is a system for allowing your community to flag potential threats. Klein Independent School District in Texas recently launched Keep Klein Safe, a coordinated effort between the district and local emergency services to include community members in safety planning and threat monitoring. One important part of this effort is a Keep Klein Safe button on the district website. The interactive button empowers concerned students, staff, parents, or other community members to ask a school safety question, make a comment about existing safety strategies or protocols, or report a potential threat. The district also has its own police force that works hand-in-hand with district officials to address threats that are reported through the online system and elsewhere. How has your school or district prepared for potential threats? 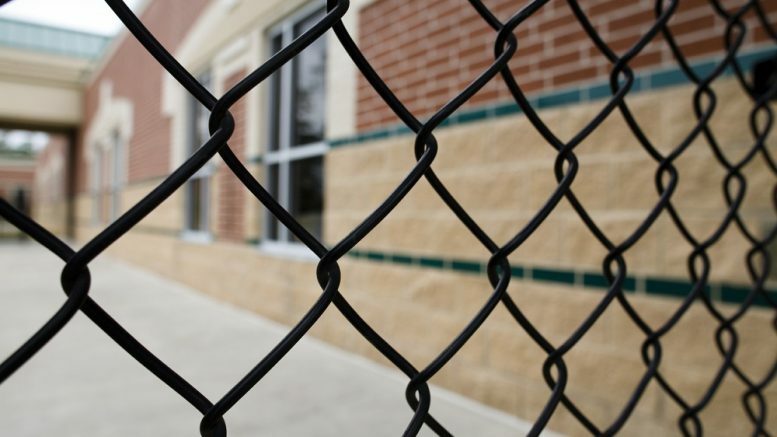 What important school safety measures have you put in place? Tell us in the comments. Be the first to comment on "School safety: Schools prepare for threats and their potential aftermath"